This tall New Zealander was a WW1 Flying Ace who remained in the Royal Air Force after 1918. At the time of the Battle of Britain, in the summer of 1940, he was in command of No.11 Group RAF tasked with the fighter defence of London and South East England. 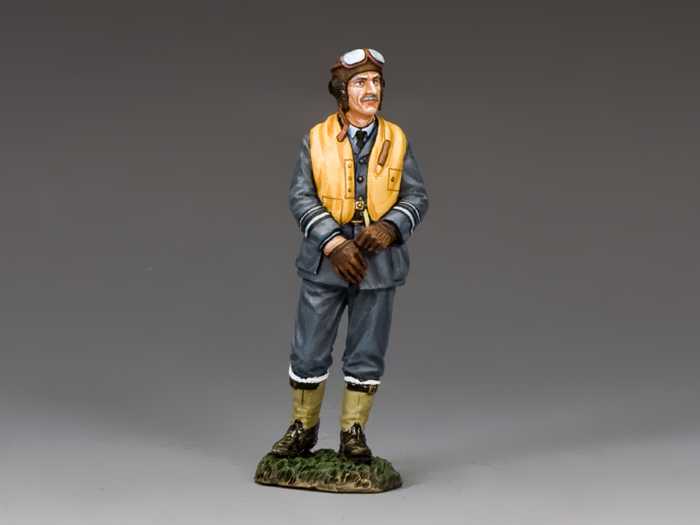 A firm supporter of Air Chief Marshal Sir Hugh Dowding, he won a reputation as a shrewd tactician and a popular “hands-on” leader who often flew his own personal Hurricane around his widely dispersed airfields to talk with and listen to his squadron commanders and pilots. 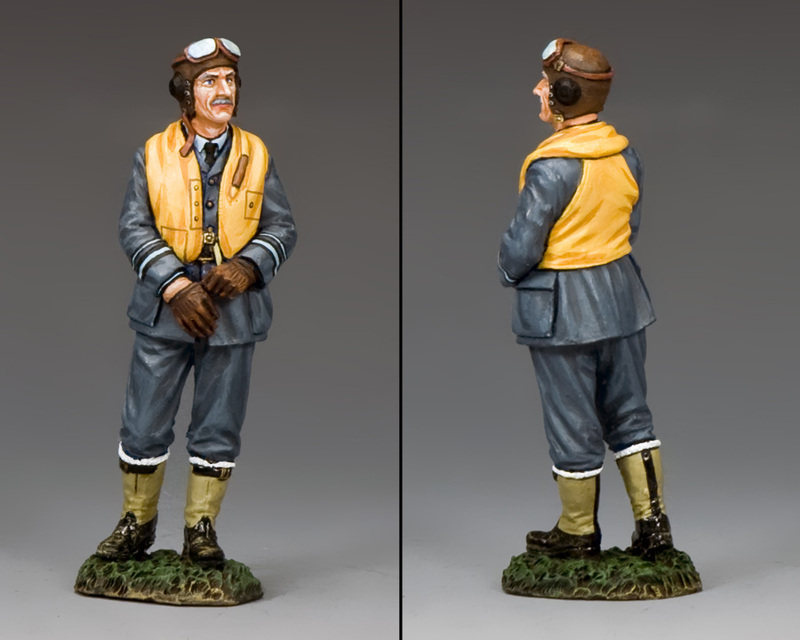 Our figure shows him in flying gear about to take off on one of his regular tours of his fighter airfields.